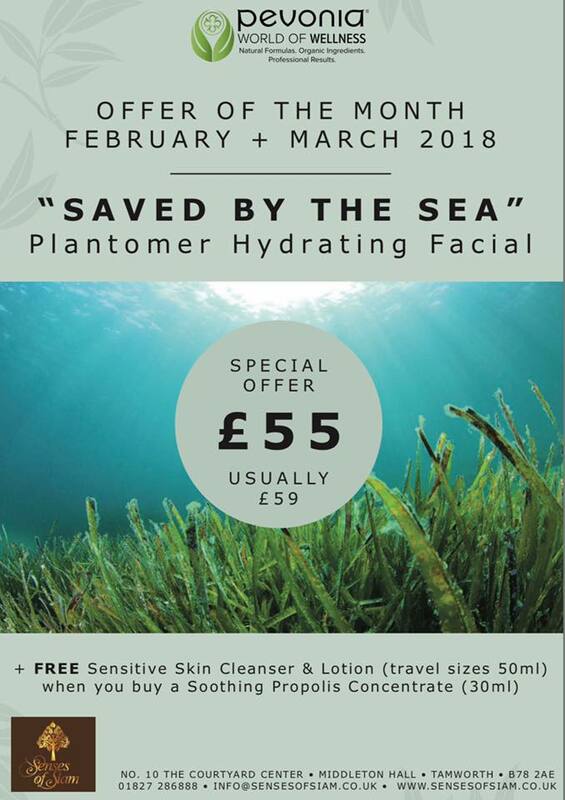 Experience *Pevonia Plantomer Facial* from now until end of March for only £55. This refreshing, soft lift-off mask combines the hydrating benefits of seaweed, the ocean’s finest resource with revitalising Propolis a natural healing & desensitising substance rich in natural antibiotics. Soothing, nourishing and calming, it renders your skin undeniably radiant with highly visible results. 100% natural with organic extracts. Siam is the old name of Thailand. This is why we offer a unique experience for all guests from the minute you step inside our salon. You will be greeted with a warm welcome smile and sawasdee. During October to February the opening times on Wednesday to Friday 10:00 - 5:00pm. Later appointments are available but must be arranged a minimum of 24 hours in advance. Subject to availability.